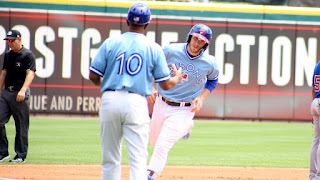 BUFFALO, N.Y. -- A marvelous gem of a start from right-hander Sean-Reid Foley and offensive firepower from Danny Jansen propelled the Herd to a 5-3 win in the series finale against the Bulls at home Sunday afternoon. The Bulls threatened in the ninth with three runs in the frame, but the Herd was able to stave off the potential comeback to hold on for the win. Reid-Foley was spectacular once again. He retired the first nine hitters and dominated the rest of the way, tossing six scoreless innings while only ceding two hits. He showed a strong command of the strike zone in a 97-pitch outing by throwing 68 strikes. "The plan was just to be on the attack," Reid-Foley said postgame. "Durham is a pretty good hitting team. [I was] just trying to make quality pitches to get a quality result." Reid-Foley's great start came after a one-hit, one-run six innings of baseball he pitched earlier this week in the win against Norfolk. "That's a really good hitting team over there," Jansen echoed about Durham's lineup. "If you're going to have success against them you have to mix up some stuff. You got to throw pitches in whatever counts for strikes." Reid-Foley owns the team-high in strikeouts and that showed Sunday afternoon as the 22-year-old racked up seven punch outs. The righty cruised through the first five innings but ran into some two-out trouble in the sixth with a pair of runners in scoring position. Reid-Foley responded by getting Brandon Lowe, who had hit a home run in each of the previous three games of the series, to fly out to center, thus preserving the shutout. With the win on the mound, Reid-Foley notched a team-leading seventh victory on the season while lowering his ERA to 3.56. Jose Fernandez supported Reid-Foley's start by pitching two solid innings in relief without allowing a hit. He also struck out two batters. "I was anxious to get him back out there and see him throw the ball just like he'd been throwing after giving up the home run the other day," Herd manager Bobby Meacham said about the lefty. "I was glad to get him back out there, I was glad to see him pitch really well with confidence and he did a great job for two innings." 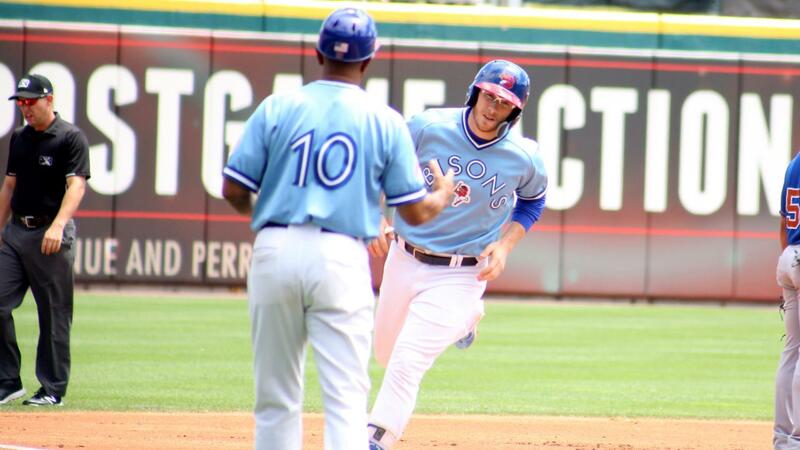 Danny Jansen powered the Bisons offensive attack. He swatted a solo shot to lead off the third inning and destroyed the first pitch he saw in his fourth-inning at-bat for a two-run blast to help give the Herd a 5-0 edge. Both longballs Jansen hit were off Bulls' pitcher Jake Faria. "[I] definitely had confidence going into the next at-bat," Jansen said about his multi-home run game. "…I don't do it [first pitch swinging] often so, I kept trying to pick the times to do it and I figured they might just try to challenge me to get ahead and then throw some sliders, so I tried to jump on the heater right away." Rowdy Tellez, who went 3-4 in the game, and Dalton Pompey both registered RBI-singles. The Bisons have thrived during the day and now have a 19-9 record in afternoon contests this season. The Herd also has an exceptional 35-11 tally when it scores first, which it did in the win Sunday afternoon.